The art of architecture is creating incredible, inspiring constructions, and then filling them to the brim with imagination. 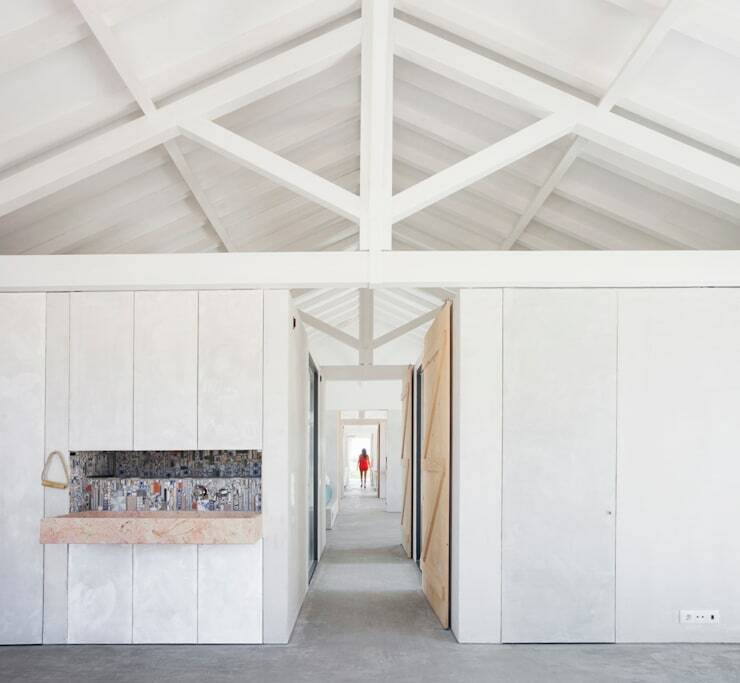 And so it is with this sleek and stunning abode, the brainchild of Lisbon’s Atelier Data LDA. 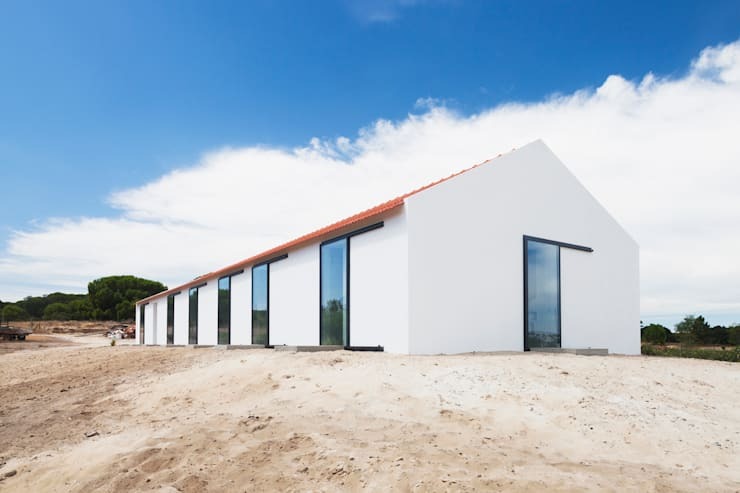 Located in the Portuguese countryside, The Long White Box House cuts a fine figure against its rural surrounds, with its pristine, white façade definitely drawing the gaze of onlookers. The home’s symmetrical array of windows is what makes it truly special however, with large glass panels placed intermittently across each side of the abode, lining up with one another to allow light to flow through and bath its interior in sunshine. To capitalise on this effect, the designers have utilised pale interior decor, with the lightest grey polished concrete combined with white walls and ceilings throughout to reflect the incoming sunlight to beautiful effect. While in the day time this home emits a serene air, with its open and expansive interior appearing calm and light, after dark it truly comes alive, as its glowing interior beams out from within those same symmetrical windows, giving off a warm, soft allure. This home is truly special to behold, and proves that a designer need not go overboard to create something incredible. Take a tour below and see what you think! Located on a sandy hill in Alcacer do Sal, Alentejo, this home benefits from picturesque, rural surrounds, with plenty of green dotting the scenery as the Sado river snakes by. 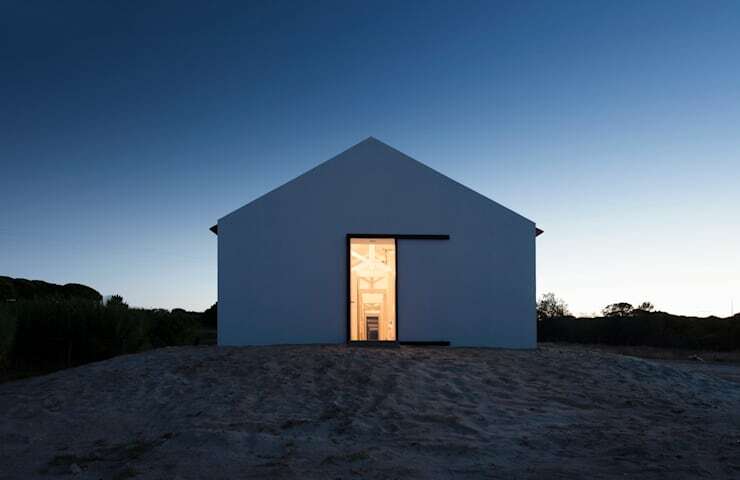 Its simple, minimalistic construction creates a lovely contrast amidst its natural environs, with that sleek and symmetrical façade doubtless intriguing onlookers. The home’s white walls and shining glass windows are capped in traditional terracotta tiles, with their deeper tone adding to the abode's overall appeal through the presence of a warmer colour. 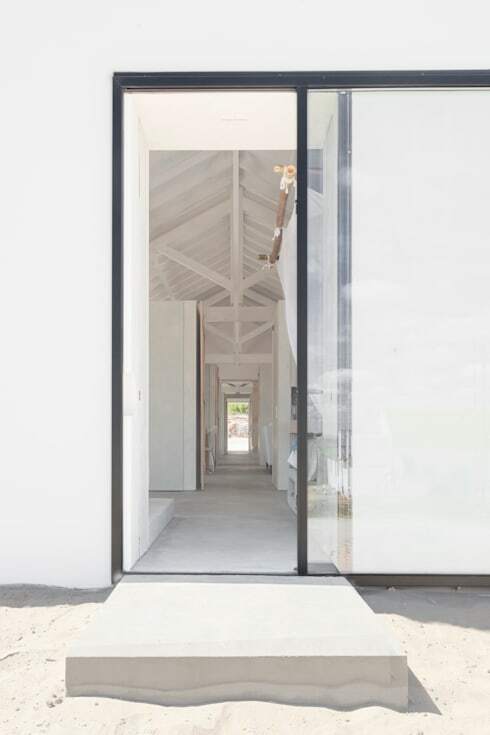 On entering the home we not only get a sense of its length, but also the utility of the symmetrical windows, which create a stunning visual effect,and allow light and air to stream through and refresh the interior. A high ceiling painted white aids in the circulation of both air and light, while the cool grey of the home’s polished concrete floors invite entry beneath the beating sun. Moving into the home and we’re immediately embraced by a pale interior, dressed in a palette of white and very light grey. Polished concrete has not only been used to construct the floors, but also some of the walls within the dwelling, adding a very subtle industrial edge to the interior. Here we can see the beautiful colours of a mosaic tiled sink; an intriguing and artistic design feature, and a welcome break from the predominantly pale decor. A change of perspective reveals that this stunning sink unit is actually a design flourish included in one of the home’s bedrooms, which basks in cool grey and white, with windows featured in each wall. For another novel touch, concrete has been used to construct a modern bed frame, with a voluminous mattress draped in soft, cotton netting perched atop. The bedroom not only appears open and light, but casual, stylish and contemporary at the same time. The home’s kitchen is gloriously light and open, with those large glass panels inviting plenty of sunlight to illuminate the room. The light grey of the kitchen storage units provides a subtle contrast against the white walls and ceilings within the space, while a kitchen bench of pale timber transforms into a cleverly constructed dining table, suitable to accommodate a large family. Moving back outside, let’s farewell this amazing property with a view of the home after dark. Here we get a real sense of the internal glow that the house manifests once the sun goes down, with warm light beaming out from within and lighting up the surrounding countryside. The effect is stunning yet serene, and adds another layer of character and style to this lovely dwelling. For more ideas and inspiration about homes filled with sunshine, have a look at The 3D Box House Filled with Light! What do you think of the symmetrical windows bordering this stunning home? Tell us your thoughts below!